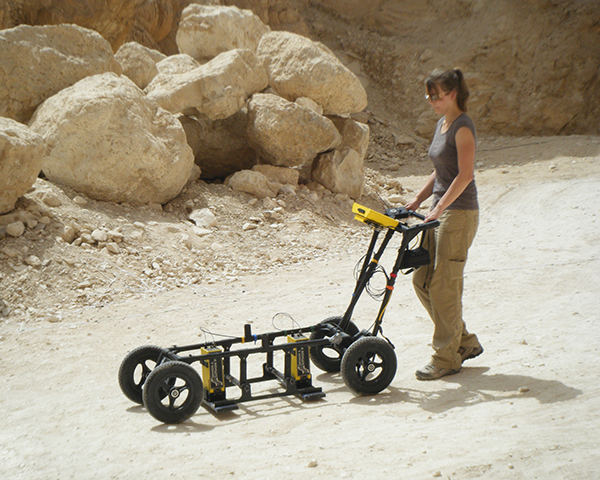 Rebecca Dash performs a ground penetrating radar sweep in front of the Tomb of Ay in the Western Valley of the Valley of the Kings. The Dash Foundation's work was in support of Dr. Zahi Hawass' expedition. Rebecca is using a Sensors and Software Ekko Pulse radar with 200MHz antennas.